Sport today is perceived not so much as a means of improving the population, holding a fascinating leisure, but as a commercial enterprise. A significant part of the clubs exists primarily at the expense of sponsors and, in fact, is the property of powerful corporations. The goal of these corporations is to form an image at the expense of people’s interest in sports, at the expense of the social importance of sporting events, through advertising. The social importance of sports, interest in it, caused by the unpredictability of results, constant intrigue inherent in competitions and attracting the attention of fans, make the sport attractive for journalists of various publications to cover its problems, for reporting on the most significant competitions. Sports reports cause such a high interest of a large audience that they become important objects against which advertising is placed. Indeed, if hundreds of thousands of fans gather in front of the screen, the information transmitted in the brief information block immediately reaches a large target audience. Sports contests are colorful entertainment events. This circumstance also makes them attractive to the creators of commercials. One of the really beautiful, spectacular and very interesting sports (although not cheap enough) is aircraft modeling. Aircraft modeling is one of the most popular sports in which thousands of schoolchildren, students, workers and engineers practiced in our country. And everyone chooses the class of model aircraft, which is most of all in its interests. There are many such classes in aircraft modeling, but all of them can be grouped into three fairly large units: a squad of free-flying models, a squad of cord models and a detachment of radio-controlled model airplanes. Originally created free-flying models of gliders and airplanes. They usually start from the hands and fly, supported by ascending air currents. The engine of such models can serve as a harness made of rubber threads (rubber motor models). 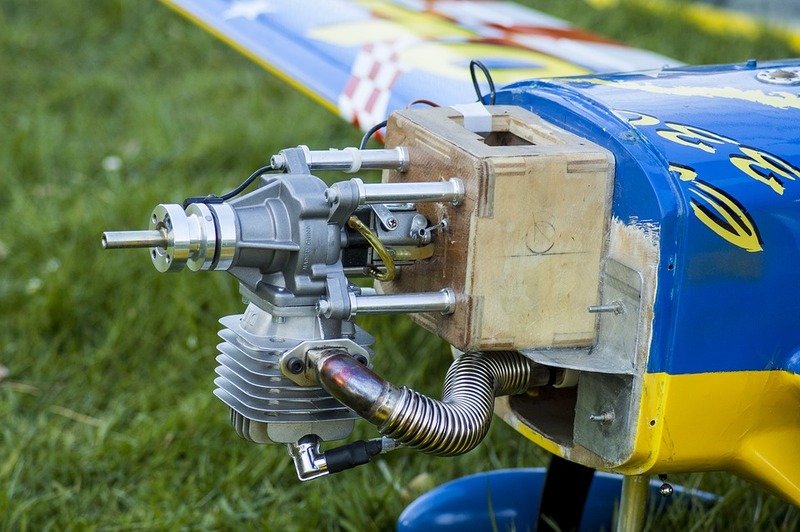 With the advent of piston gasoline micromotors, aircraft model sport has risen to a new level. After World War II, new types of model aircraft were developed — cord, radio-controlled, and copy models. Modern models can fly at speeds of over 300 km / h, flight durations of over 33 hours, distance along a closed route of up to 765 km, and altitude of flights above 8 km. 4 main classes of sports models are distributed, each of which includes several categories: free-flying models (gliders, airplanes with piston engines — timer, rubber-engine, and room); cord models (speed, racing, aerobatic, “air combat”); copy models (cord and radio-controlled copies of airplanes, radio-controlled copies of gliders); radio controlled models. Competitions on radio-controlled models of airplanes, the energy source in which is a battery, galvanic or solar batteries, began to be held from the 80s. World records in this category of models for the duration of the flight – more than 6 h 15 min, range – 100 km. Aeromodelling sport is one of the technical sports, including the design, construction of models of aircraft, competitions in speed, range, altitude, duration of their flight and the ability to perform aerobatics. In the competition of models of copies, not only their flying qualities are evaluated, but also their similarity with the original. Both adult and junior athletes take part in the competition. 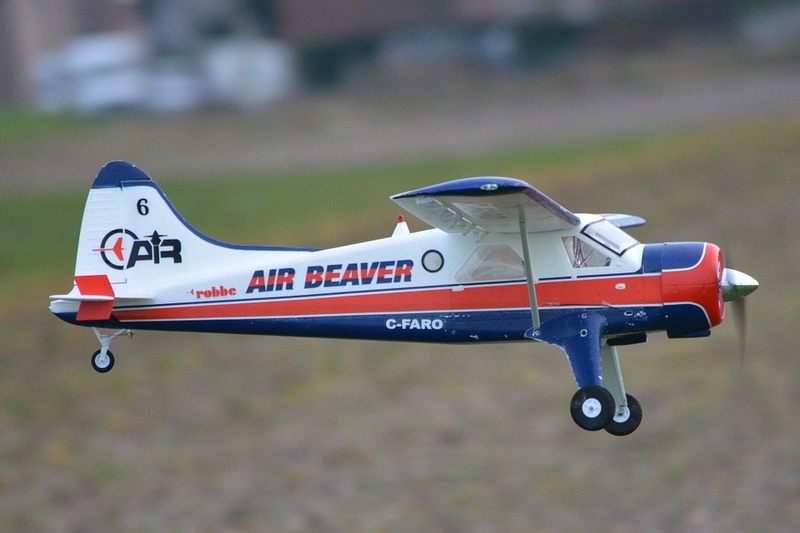 At the international level, aircraft model sport is supervised by the FAI International Aviation Federation, which sets the classification, rules and procedures for the competition. At present, FAI regularly holds both European and World Championships in aircraft modeling; the World Cup is being played in various categories of model airplanes. Airborne sport has received widespread in our country. The European Championships and the World Championships on cord model aircraft of the F2A, F2B, F2C and F2D categories are held once every two years. In the category of aerobatic F2B cord models, each country that is a member of FAI has the right to form a national team consisting of three adult athletes and one junior. Athletes and juniors perform together. Summing up the results of both the individual championship and the team. In determining the results of the team championship three best results from four participants for each national team are taken into account. Therefore, aeromodelling sport in the category of aerobatic cord models is one of the few sports where at the World and European Championships the juniors of each participating country act on a par with adult athletes. According to the rules of the FAI International Model Aeronautical Competition, sport flying models are divided into several categories according to the principle of flight. In each category, competitions are held on several classes of model aircraft, differing in size, displacement and engine type, conditions of the competition. Free-flying models are called because the designer’s intervention in their flight is impossible and any adjustments or adjustment of the model are completed at the time of launch. Among the free-flyers there are non-powered – gliders, vehicles with a simple engine – a twisted rubber band and models with a miniature internal combustion engine. Motors on such models work only for a few seconds, throwing light-wing constructions sometimes up to a hundred meters up during this time, and then they make a planning descent. Turn off the engine and transfer the steering wheels to the planning of special clockwork mechanisms – timers, therefore, such aircraft models are also called timer ones. 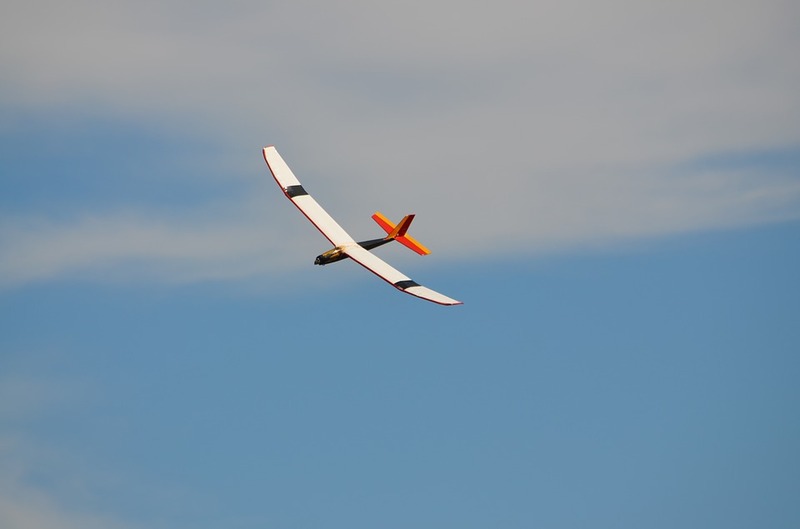 Free flight is a flight in which there is no physical connection between the model aircraft and the competitor or his assistant. Competitions are held for the duration of the flight model aircraft a certain number of times (tours). The flight time of each participant’s model is limited according to the rules of the competition in each class. To determine the results, the total duration of flights of the model aircraft of each athlete in all rounds is taken. 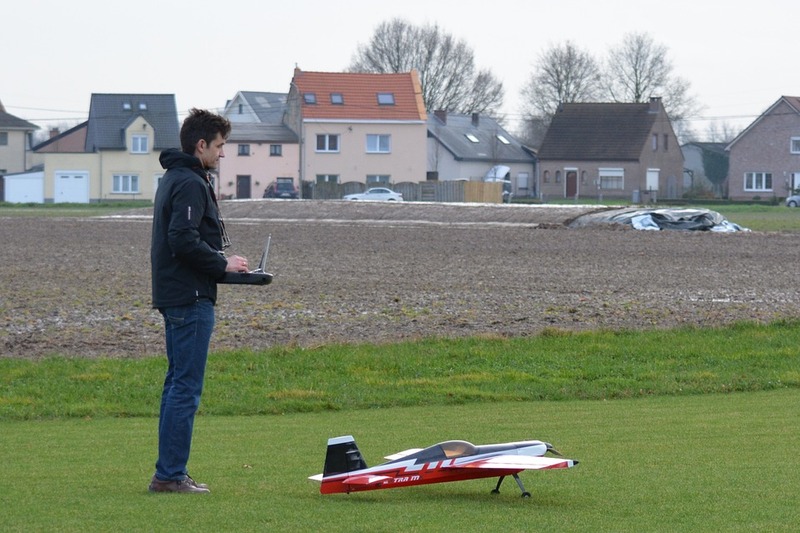 Competitions in the classes of model aircraft free flight, held in the open air. The minimum size of the site is 500 * 1000 m.
It is believed that it is free-flying models that are the ancestors of the entire aircraft modeling sport. The oldest sports class is considered to be rubber – F1B – the first World Championship was held on it in 1928. Today, free-flying models are a developed sports class, in which the championships of the continents and the World are held in various types of programs. Due to the technical restrictions imposed by the rules, model creators at competitions have to look for new constructive solutions, use the most advanced materials and technologies, up to the construction of their own mobile meteorological stations. Currently, athletes use modern ultra-light materials to build models: various plastics, carbon fiber, they use the latest technology to process materials. In order to achieve maximum flight efficiency of aircraft (aircraft), models are equipped with on-board electronic timers, specially developed aircraft modellers for their models. Once again, according to the rules of the F1 category, any impact on the model of an athlete during a flight is prohibited. Models that an athlete manages using wire strands (cords) are called Control line (also called U-Control) ones. They are controlled by an athlete through inextensible thin steel threads or thin steel cables – a cord that is up to 21 meters long. With their help, acting on the controls of the model, the pilot can make it fly horizontally or perform various evolutions within a hemisphere above the ground, the radius of which is the length of the cord. Such models, as a rule, are equipped with internal combustion engines or electric motors. The airfield for them is a flat asphalted or grassy ground, usually in a park or stadium with a diameter of 45 – 50 m. Moreover, the “pilot” stands in its center, holding the control stick. Just like a pilot on a real plane, the modeller pulls the handle towards himself – the elevator is deflected, and the device obediently flies upwards. The handle is deflected away from itself – and the model is reduced. Such models are very popular with the guys. There are many different classes in the detachment of cord models. This and aerobatic – they are able to demonstrate the full range of aerobatics. There are high-speed ones among them – their design and engines allow them to reach speeds of about 300 km per hour! These are also model copies, miniature similarities of real planes. Competitions on U-Control model aircraft held in the open air. An aerobatic model is a model in which control is carried out mechanically, through cord threads. Bearing surfaces during the flight must remain fixed, with the exception of the propeller and special control surfaces – the rudders. Compete on the quality of the complex of aerobatics in a limited time. Aircraft models performing aerobatics are similar in appearance and form to real airplanes, it all depends on the designer-athlete’s fantasy. Models can be equipped with internal combustion engines (piston) with a volume of up to 15 cm cubic, gas turbines and electric motors. Large and beautiful models with a wingspan of up to 1.5 meters, driven by an athlete, perform a specific exercise program (complex). The complex, defined by the FAI, consists of 16 aerobatics. Each figure has its own difficulty coefficient and scores (from 0 to 10 in increments of 0.5) for the accuracy of the execution of the maneuver. All maneuvers must be performed according to the rules. 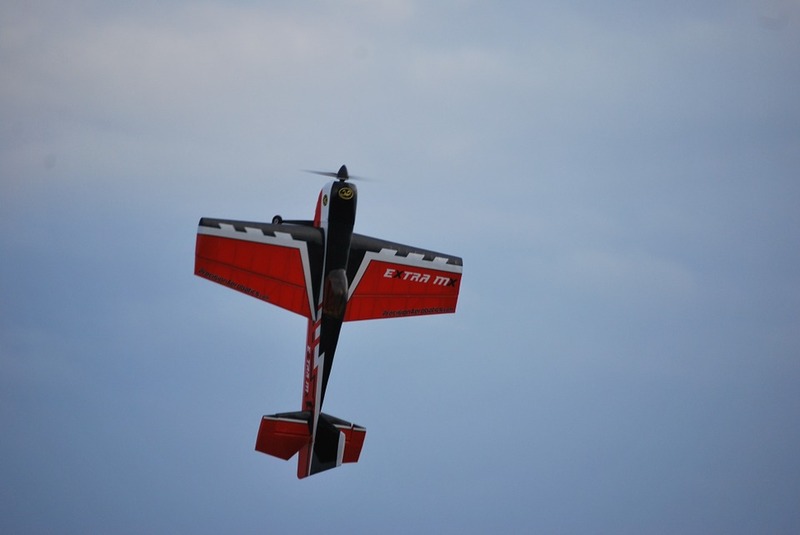 The flight of a good aerobatic model is an exciting spectacle, it can be compared to a gymnast or figure skater performance, which is watched by the audience and evaluated by the judges. This class of models requires a constant training process. Competitions are held on a flat asphalt or grassy ground. A special class of models are racing, the design of which combines efficiency, ease of maintenance, reliability of engine start and high flight qualities. Designed to achieve maximum speed of flight in a circle at a distance of 1000 meters. Models are equipped with powerful piston engines. Engine capacity is limited to 2.5 cm. Cube. Experienced model sportsmen, as a rule, make their own engines and bring them to perfection. High-speed models differ in appearance from other types of models in small sizes, with a corked engine, conveniently streamlined shapes and a chassis discharged after take-off. The design of the models is extremely exotic, with most models having only one wing and a single-blade propeller. Weight about 500 grams. Flights are performed on standard fuel (80% methanol, 20% castor oil), engine speed reaches 36,000 rpm. The flight takes place in a circle of fixed radius – 17.69 meters, it is required to fly with a maximum speed of 9 (nine) circles, which is equal to a distance of 1000 meters. Measuring the time for which the model has flown 9 laps, determine its actual speed using a special table. The speeds shown at competitions exceed 300 km / h.
Competitions are held on a specially prepared ground (cordodrome), which has a smooth concrete or asphalt surface with a diameter of at least 48 meters and a safety fence with a height of at least 3 meters. Three athletes can compete simultaneously with three racing models on one cordodrome. 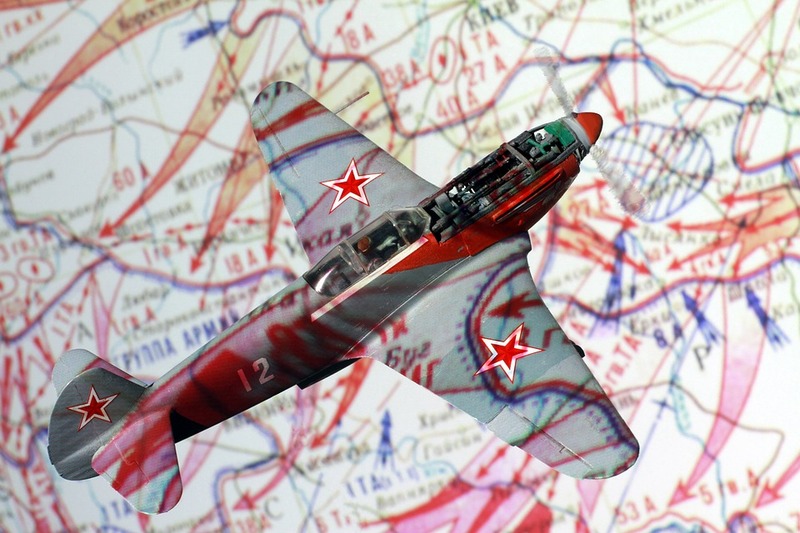 The most spectacular class of models – models of air combat. These are relatively simple devices. They combine the properties of piloting, speed and racing models, and the whole essence of them – speed and maneuver. Air combat is a competition where two opponents pilot their models at the same time in the same circle for a certain time in order to cut the tape attached to the opponent’s model. Points are awarded for each cut of the tape and the time the model is in the air. The winner in the battle will be the pilot, whose model will be able to chop off as many pieces of the opponent’s paper tape (cuts) as possible and will not allow the tape to be cut off. The circle in which there are pilots, has a relatively small diameter – four meters. At the same time, it is strictly forbidden to go beyond the limits of the central circle of the competition rules. Otherwise, the participant who violates this rule will be sanctioned, up to disqualification. It will be most effective to cut off the rival’s tape with the help of a propeller. It should be noted that technically it is very difficult to do, because for this you will need to approach the opponent’s model as far as possible. And since the models are moving at a speed of about 180 kilometers per hour, only an experienced model airplane athlete can cope with this task. According to the rules of the FAI, each participant can have two assistants and a spare model for one fight. The duration of the battle is only four minutes, after which the panel of judges gives points to the participants. Points are calculated on the basis of each cut of the tape, which is equal to one hundred points. It turns out that it is much more profitable for participants to cut an opponent’s tape in small pieces during the competition than to cut the entire tape once. In addition, every second spent by the model of an athlete in flight, adds 2 points to participants. Naturally, the winner will be the one who scores the most points. In the event that the opponents score an equal number of points or the model of one of the participants has broken off, and the pilot has lost control of it, a second fight will be assigned. In addition, in the framework of the competition between models of this class there is a number of penalties. For example, for the aggressive behavior of a participant during a battle, he may be removed from the competition. Also, for failure to comply with certain rules certain penalties are imposed on the participants of the competition, up to and including disqualification. An athlete who has lost two battles is eliminated from the competition. The winner of the competition is the athlete who won the most air battles. Competitions are held on a flat grassy lawn area (stadium, etc.). 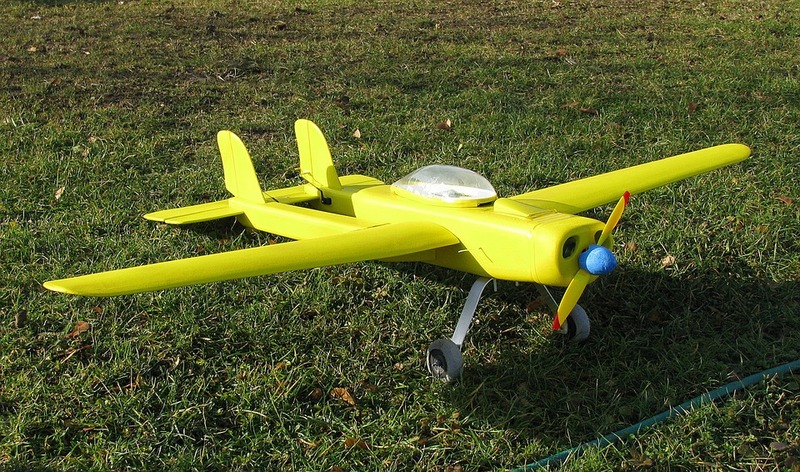 Widespread model aircraft, which are controlled remotely and without wires. This is done using a set of radio equipment – a transmitter in the hands of an athlete-operator, and a receiver with steering mechanisms mounted on board the model. The flight of a radio-controlled model is a flight in which an athlete on the ground controls the model through radio commands. A radio-controlled model aircraft is a model of an airplane, a helicopter, a glider, which during a flight maneuvers in the space under the aerodynamic influence of the steering surfaces, controlled by radio signals by a participant on the ground. Onboard the models of this class are installed radio equipment that receives signals from the ground and controls the model steering wheels. There are several classes of radio-controlled models – both non-engine and with internal combustion engines. And those and others, perhaps, the most complex aircraft model. Most likely, they can be called miniature remote-controlled aircraft, which have incorporated many of the achievements of modern aerodynamics, production technology, microelectronics. In the detachment of radio models there are also several classes. For example, radio-controlled flight models that can perform even those aerobatic maneuvers that cannot be done on a real acrobatic sports plane; replica models that scrupulously repeat not only the appearance of the prototype aircraft, but also the features of its design, the details of the cockpit design; racing – on them athletes compete for the speedy passage of a certain distance. 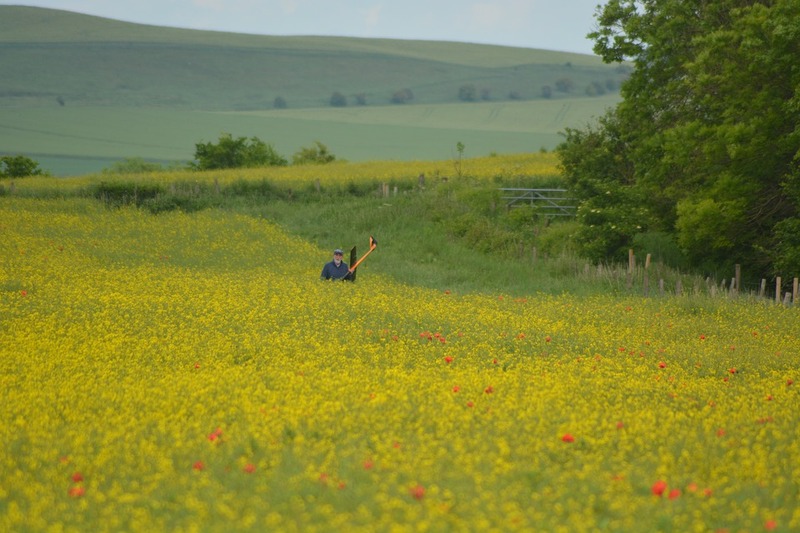 In addition, there is an interesting class of non-powered radio models — these are the so-called cross gliders: driven by athletes, they perform three exercises — at the highest speed, the longest range, and the longest flight duration. Almost every year the number of classes of models increases. For example, the class of radio-controlled models of helicopters, which represent the last word of model aircraft technology and sportsmanship, has received general recognition. Classic aerobatics on helicopter models. Having existed for more than 20 years, this class has become the elite in radio-controlled helicopters. Complicated, finely tuned technology, delicate piloting accuracy, fantastic beauty of flight – hundreds of hours of training, excellent engineering solutions, strong nerves and endurance of the pilot stand behind this. Not many can reach the heights of skill. But in this class, dedication and efficiency can bring an impressive result! Also, the F1F category was introduced once for free-flying models of helicopters (rotarywingmodels), but it did not catch on. 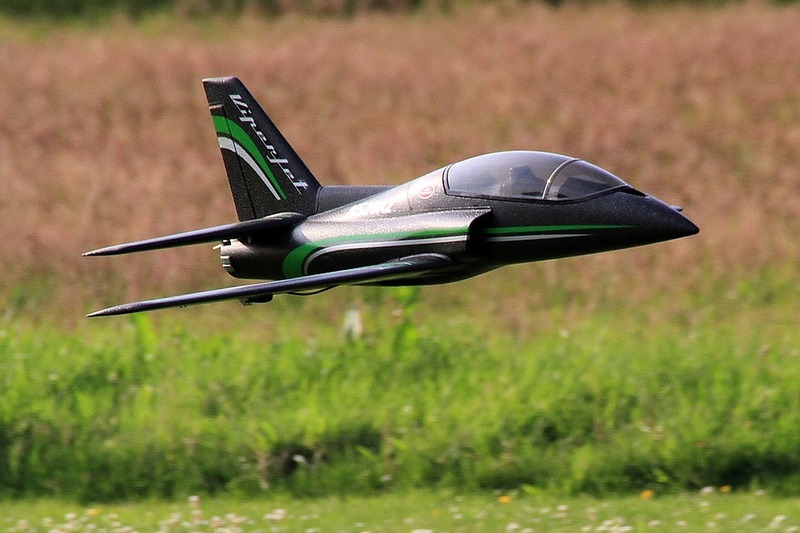 F5J – airframe models with an electric motor for flying in thermal currents for duration. Everyone who has been working with models is familiar with feelings of anxiety during the first launches of the car, the excitement with which the escaping model looks away, and joy when the range is good and the landing is successful. Who among us did not break the head, conceiving the model, in search of any ingenious mechanisms that increase the engine plant, did not dream of magical rubber stretching 12 times, ultra-light materials, incredible wing lengthenings and other tempting things! Questions about how well the shape of the model is chosen, whether the structure is overweight, whether the screw and the motor are properly selected. Success in modeling depends not so much on all these strange things, but on the correct choice of aerodynamic forms, competent design and accurate execution. Only by fully squeezing everything out of the normal scheme, completely mastering the technique of construction and adjustment, can we take on the development of a new type of model. It is possible to point out quite a few cases when unfamiliarity with the flying model technique was the cause of the failure of aviation inventors. Often, a fundamentally correctly conceived model cannot fly due to gross errors in the design, in the choice of material, etc.